Twenty people including nine children were detained detained in Turkey’s western province of Mugla while they were on their way to escape to the Greece, Dogan news agency reported on Nov 7. Dogan said some of the detainees had outstanding arrest warrants, earlier issued over their alleged use of ByLock by prosecutors in İzmir, Balıkesir, Burdur and Aydin provinces. ByLock is a controversial, encrypted mobile app that Turkish government believes to be the once top communication tool among supporters of the Gulen movement. Coast guard in Mugla’s resort district of Marmaris stopped a boat off the shores of Turunc neighborhood and forced it to dock on a nearby port, upon a complaint that several Gulen supporters had gotten aboard to escape to the Greek island of Rhodes. 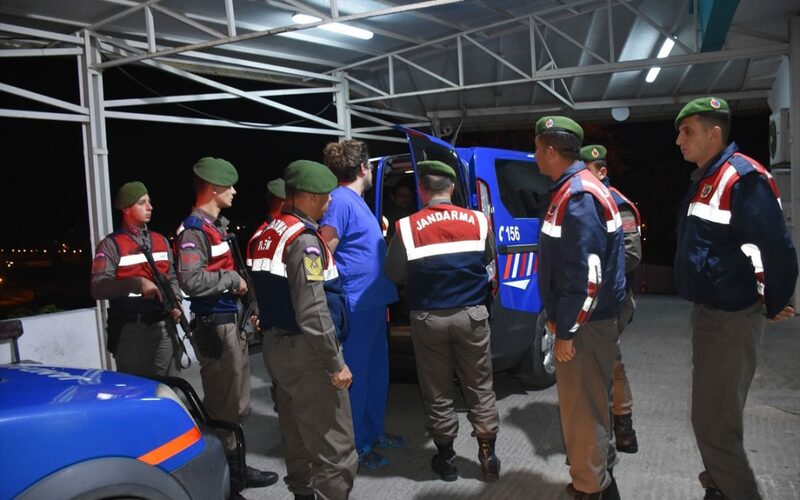 Eleven adults were rounded up along with 9 children, and they handed over to gendarmerie when the boat arrived back in Marmaris. Another two were also detained for helping the suspects during their would-be trip to Rhodes. Detainees also include a former judge who was removed from his job in the government’s post-coup crackdown and his wife, a purged prosecutor who was also caught up in the government’s net.